And in other news, dog bites man. It has hardly come as a surprise, but Big Sam Allardyce has officially been confirmed as the new manager of Newcastle United. The former Bolton boss has signed a three-year deal at St James’ Park. He will be officially unveiled at a press conference at 1pm, but his appointment has already been announced to the Stock Exchange and Allardyce has been signing autographs and comparing bellies with the Geordie faithful. 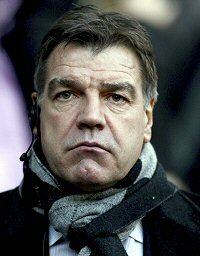 Allardyce has apparently cited his desire to win trophies as his reason for joining the Magpies. You picked the right club there, Sam!